There is nothing more heartwarming than watching a little kid meet their idol. 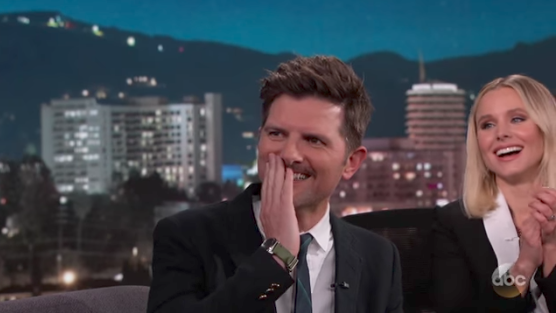 Last night, while appearing on Jimmy Kimmel Live with guest host Kristen Bell, Adam Scott was essentially a Star Wars-obsessed little kid — and proved that he’s practically Ben Wyatt IRL. Scott was on the show to talk about HBO’s Big Little Lies and reminisce with Bell about their many guest appearances on each other’s shows. In honor of Star Wars Day, Bell asked Scott about a story he’d previously told about inviting Mark Hamill to his birthday party in 1980, just as The Empire Strikes Back was coming out. As Scott retold the story of Hamill *not* attending his birthday party, he was interrupted by the Star Wars theme, and Hamill appeared. Obviously, Scott was completely blown away. Let’s walk through this incredible moment. Scott reveals to Bell that he wrote Hamill a letter inviting him to the party and shared that, as a second grader, he genuinely believed that if Hamill was free he would attend. Scott admits that Hamill didn’t attend the party and attempts to defend his idol but is interrupted by the Star Wars theme. The backstage camera reveals who the mystery guest is and Scott looks stunned. …while Scott looks like a groom on his wedding day seeing his bride for the first time. DO YOU SEE THAT LITTLE PINKY SHAKING? 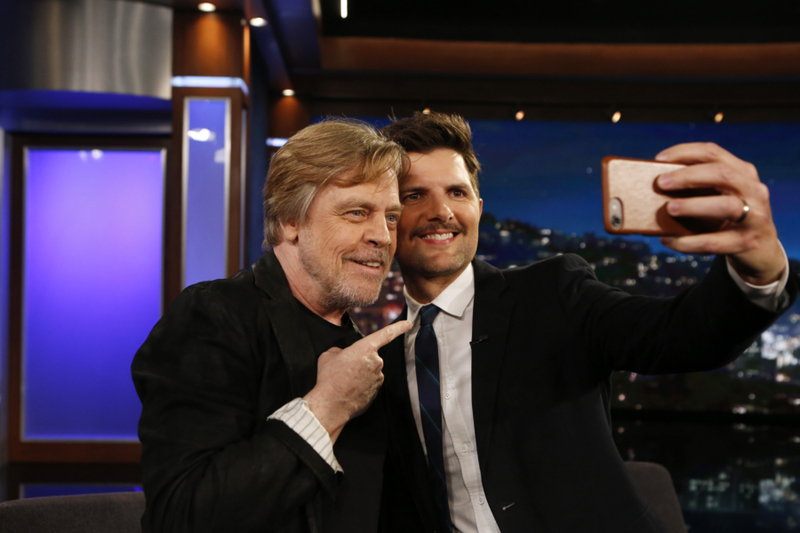 New goal in life: Find someone who looks at us the way Adam Scott looks at Mark Hamill.